German industrial designer Ingo Maurer has been lighting up the world since 1963 with the creation of his first company, Design M, later transformed into the name of the creator. Bulb (1966), one of his very first designs, was included in MoMA’s design collection, and in 1989 for the first time, Ingo Maurer created lighting, which was not meant for serial production, for a retrospective of his work at the Cartier Foundation in Paris entitled: Light Chance Reflection. The winged light bulb, Lucellino, is probably one of his best-loved creations, and since the early 1980s, Ingo Maurer has been working with young designers and developers. 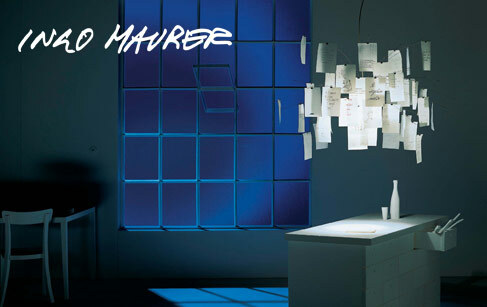 Transforming light into art like the Karat Blau Suspension is yet another way Ingo Maurer introduces a masterpiece into the home.